Viruses, Trojans and Co. - anywhere in the network lurking dangers. 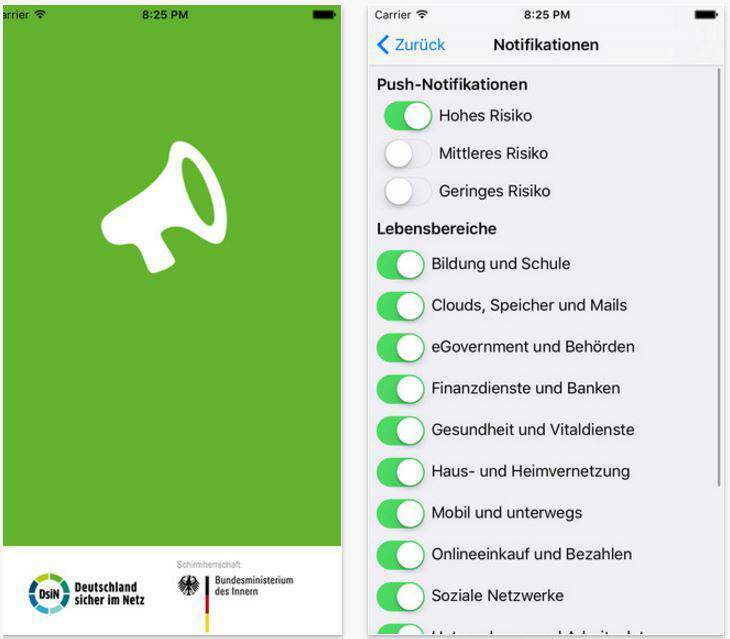 In order not to fall into the trap, was the SiBa app safely published by the Association Germany on the Internet e.V.. The application proposes via push message alert and gives tips on safety measures. The Internet is full of dangers - lurking at every corner viruses, Trojans, subscription traps, malicious software and hackers. In order regarding current risks to be always up to date, the association has "Germany safe on the Net e.V." 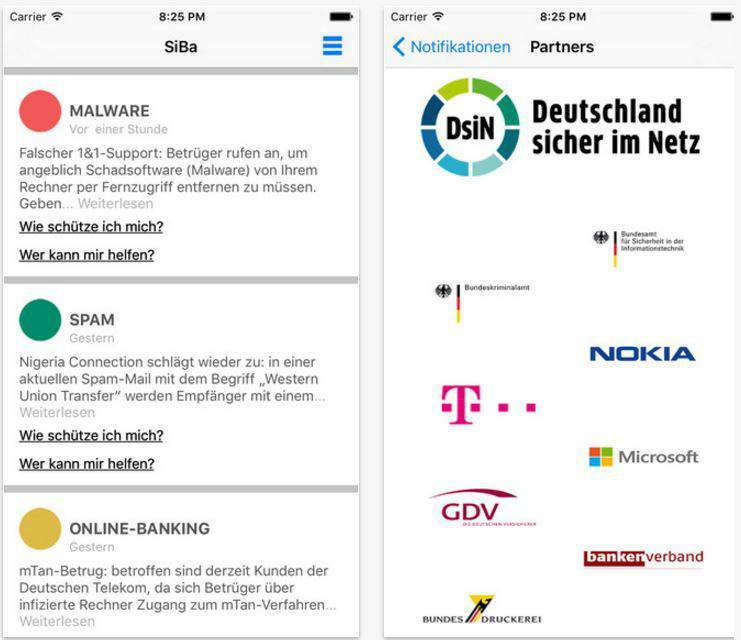 (short: DsiN) developed a warning app. The available under the name SiBa application is a safety barometer which sends the user push notifications. As a board member Alastair Bruce stated that it intended to help the user to protect themselves. For this brings the app bundled all information to the smartphone and thus sensitizes the user for these issues. In addition, the user tips and contact points are presented to help. The app is available for Windows Phones and Android as well as iPhone SiBa variant. It can be downloaded for free, permissions are also not required. After downloading the app warning to the user is a well-structured, easily held surface. All warnings that appear in the app are marked with a colored dot. The traffic light system is the basis of the colors red, green and yellow. Green labels are for simple safety yellow dots represent moderate risk and high risk are marked with red dots. The warnings appear in the SiBa app in chronological order. At any news with a brief teaser that presents the subject. If you click the message that you can obtain further information. In addition, the user usually takes place under each message links such as How to protect yourself? or Who can help lead to tips or help pages. So one is depending on the topic led among other things to the Microsoft Support for copyright portal iRights or platforms such as anti-spam e.V. Who would not want that constantly push notifications come out of the blue, can determine when he wants to be informed themselves. He can indicate whether any risk level he would like to receive messages. Each color can select or deselect separately.